ST. PETERSBURG — At Thomas “Jet” Jackson Recreation Center something special was happening on Sunday afternoon, evidenced by the buzzing energy of nearly 60 youngsters in white martial arts uniforms with parents and grandparents in tow, some who’d arrived nearly a half-hour early for the class. Members of the “Midtown Miracles” martial arts program, sponsored by Chief Anthony Holloway and the St. Petersburg Police Department, the mini martial artists arranged their uniforms and practiced their basic moves while waiting for Grand Master ‘Soke’ Bryant K. Harrell and his wife Master ‘Sensei’ Leotte-Keiva Harrell. Together, the husband and wife team are the highly trained and skilled martial artists – and pastors – who also run the “Fists of Faith” ministry. “We have to give big props and respect to Chief Anthony Holloway for helping put this program together,” acknowledged Soke Bryant. “He chose Leotte and me to take and run it, and we’re running it, and we’re going to run it ‘til the wheels fall off. I’m looking for a thousand kids or more. 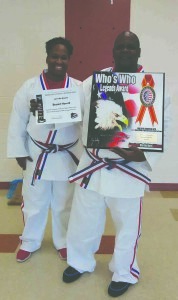 We want to set this city on fire through martial arts,” Harrell declared, his enthusiasm infectious. 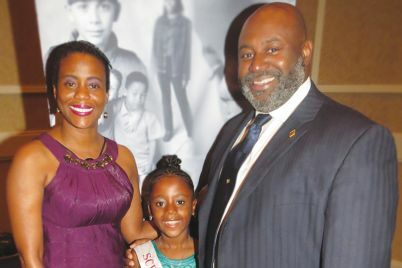 As the Harrells entered the class, they were surrounded by some of their young students, who clearly exhibited a combination of respect, love and trust for their trainers. Likewise, the compassion and determination to inspire their students were evident in both instructors; their energy was always uplifting and empowering as they commanded, demanded, and sometimes even cajoled their charges into displaying the focus and grit needed to complete the seemingly endless array of drills in the no-downtime, one-hour-plus class. 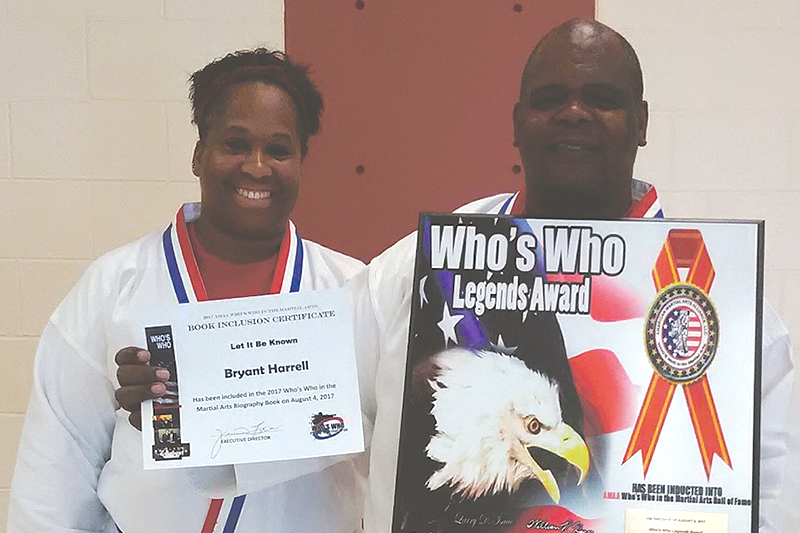 Bryant, who is a 10th-degree black belt, is one of only 250 practitioners featured in the 2017 American Martial Arts Alliance (AMAA) WHO’S WHO in the Martial Arts Legends Edition. Harrell, a former member of the U.S. Naval Special Forces, said that his own childhood challenges enabled him to connect with some of his students. Leotte, a fifth-degree blackbelt, started training in her early 20s and has been at it for 17 years. A school teacher as well as an actress and singer, she was equally passionate about their purpose. She also shared how martial arts offers parents and children new ways of looking at their strengths. Parents at the program seemed to agree that the impact on their children was profound. 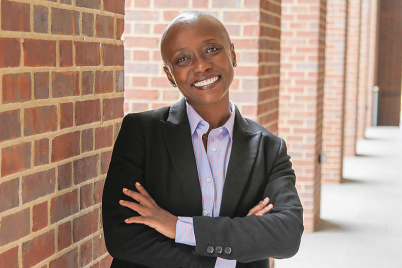 Harrell attested to how the training for parents and their children offered a place of connection where kids and parents can share what they’ve learned in classes. He also encourages families to work out and train together. 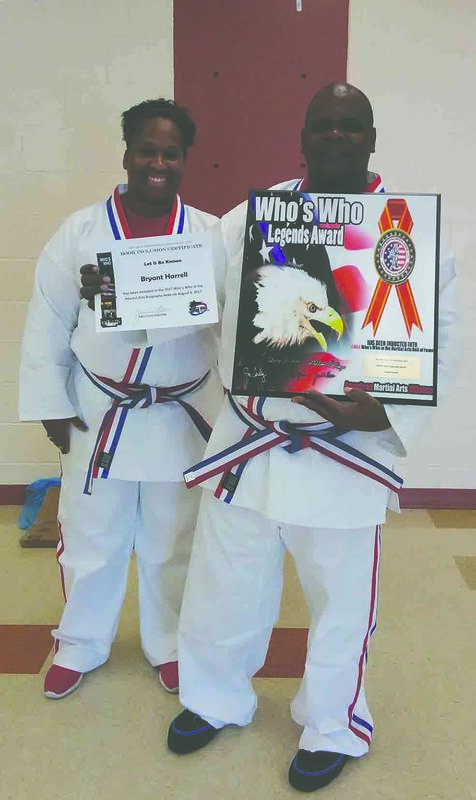 Bryant thanked the Thomas Jackson Center for giving a home to the program, stating that even staff at the center said they’d never witnessed a martial arts program like theirs at the center. For Leotte there is also another driving force behind her mission – and it’s personal. For more information, call Grand Master Bryant K. Harrell at (727) 648-8516, Master Leotte-Keiva Harrell at (727) 623-3605, or email fistsoffaith@gmail.com. 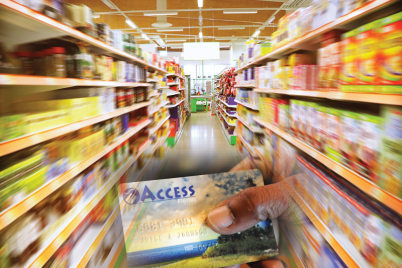 Classes are held at Thomas Jackson Recreation Center, 1000 28th St S.
Next Next post: What foods are good for an enlarged prostate?